Bridal trends are constantly changing, but traditional styles will always be in vogue. 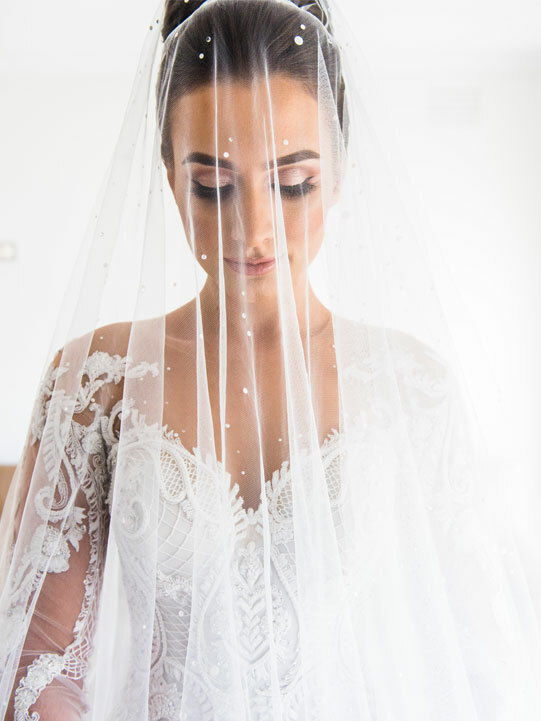 Here, Tijan Biner speaks with Eva Tomala of Eva Tomala Couture about her couture process and why there’ll always be room for timeless, classic gowns in the world of bridal fashion. Self-described as traditional, Tomala is renowned for her sleek, sophisticated style. “I like to follow tradition … with a bit of drama,” says the creative director, who favours refined silhouettes reminiscent of the glamorous styles of yesteryear. However, as the fashion industry evolves, many brides-to-be are opting for more modern, out-of-the-box bridal designs. Based on recent runway shows, those walking down the aisle in 2019 can expect everything from feathers and capes, to bustier tops, slip dresses and tailored suits. While these trends will certainly appeal to some, classic and traditional styles have been in vogue for decades and show no sign of slowing down. The modern-day bridal trends we know and love have evidently been inspired by previous eras, such as the Roaring Twenties and the 1960s. From high necklines and empire-line waists, which were quintessential trends of the 1900s, to metallic embellishments and floral daisies from the 1970s, could it be that the bridal fashion industry is reverting back to tradition? Similarly, multi-tiered skirts, cathedral trains and full-length veils – iconic styles of the 1980s – are set to make a comeback, as will sleeves in all sorts of styles and lengths. Whether you opt for long, fitted or gigot sleeves, they’re a practical yet elegant addiction to a spring or early summer wedding. When asked about the styles and trends she expects to see this year, Tomala strongly believes that classic silhouettes are here to stay. “I don’t expect to see any big changes, however I do expect more traditional gowns,” she says. “Wedding fashion is hugely impacted by tradition, religion and culture, so changes are slow. Traditional styles will always be more popular.” Further, as with all great parties, there’s always an after party, so she says it will become commonplace for brides to slip into something more comfortable for the reception. “The biggest change I can notice is that it’s becoming more popular to have an elegant ‘going away’ dress,” she says.